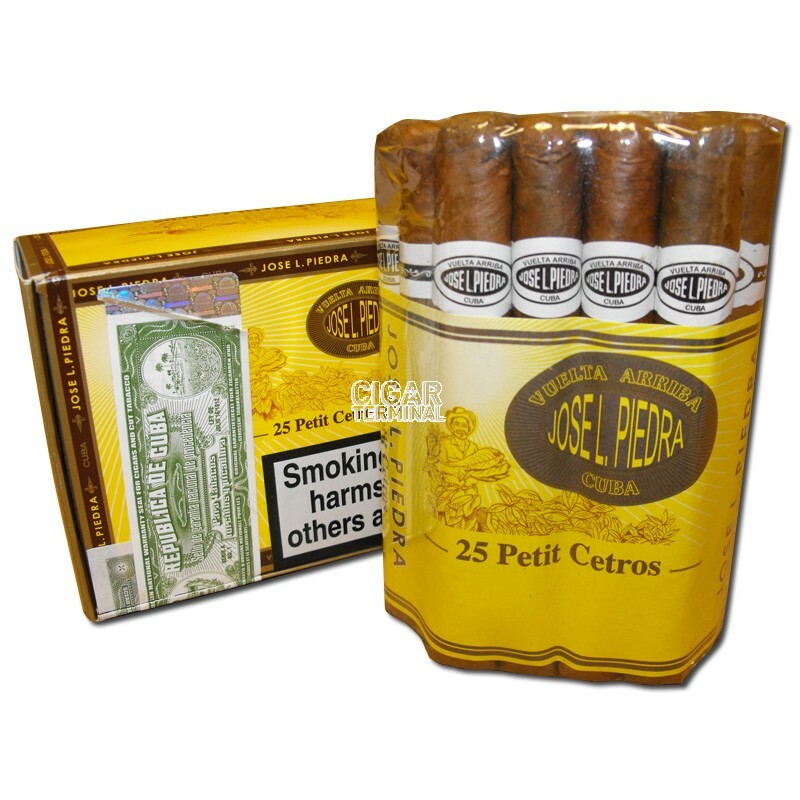 The Jose L. Piedra Petit Cetros is a flavorful medium-bodied Short Panetela, 5" (105mm) long, of 38 ring gauge, and comes in a 25 cigars box. It is a great everyday smoke, being cheap and of very good quality. Hand-rolled with short filler tobacco leaves that are only from the Vuelta Abajo region, the best tobacco growing region in Cuba, its construction is great, with an easy draw, an even burn and beautiful solid ash. It tastes of wood, earth, pretty robust. Perfect cigar for an outdoor activity. 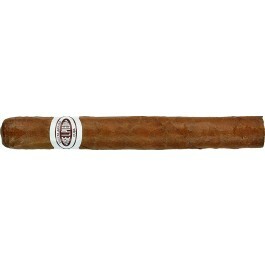 A lighter bodied panetelas size, smooth and if well rolled, the cigar draws nicely developing earthy, rawer, slightly pungy flavors, a solid, native, more rustic Cuban cigar at a very fair price. Really nice flavor, unbelievably sweet tasting and very smooth. The cigar draws very nicely and is a great smoke.